Our family plays Xbox together regularly and since I am the only girl in the family I tend to turn all my characters, and avatars into a girly representation of me. Last year we got the boys an Xbox 360 and each one got their own controllers and my hubby owned all the other controllers. He has the Xboxes, and I have the Wii. So the boys kept saying how come you don't have your own controller Mommy? I had been eyeing pink ones for a while, but nothing seemed to work out, and I just was resigned to use hubby's regular boring black ones. 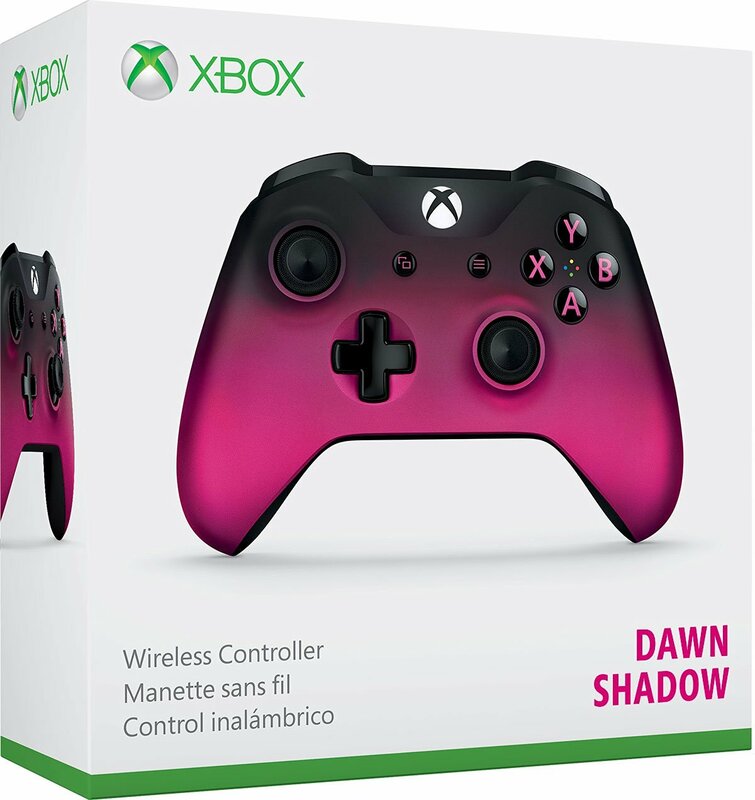 Then this Christmas hubby bought me the Dawn Shadow Xbox One Wireless Controller. My first thought was how pretty it is! Seriously, it's pretty, but cool too! 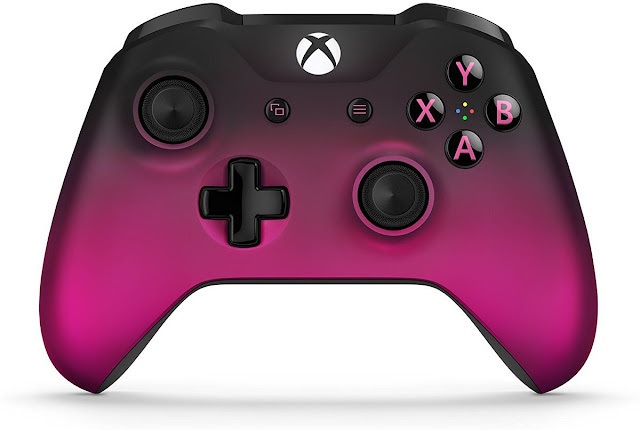 The boys were happy that I have one of my own, and they all declared it to be a very cool controller! Once I took it out of the box, I realized it actually has a textured grip, so it's easier to hold on to. No risk of it slipping out of my hand, which I am always sort of afraid that I will drop hubby's. Not that I have, but it feels like I could. The has a faded magenta metallic finish so it's not overly shiny and it's not like a bubble gum pink either. Of course you can use custom button mapping and it has improved wireless range. That wasn't a big deal for us since we aren't that far from the tv, and never had an issue with the range anyway. But it's good to know that it has that feature in case I take it with me, or we rearrange our set up. Also it has a headset jack so you can plug in any compatible headset, but I haven't needed that either. If you use Windows 10 PCs and/or tablets, it has Bluetooth capabilities, that you can look into utilizing. This is not a feature I need either as I am a fairly basic Xbox gamer. I just wanted a cool looking controller that would be easy to hold and would stand out from the other controllers. This fit the bill for me completely. It was easy to set up, and hubby had it working with in minutes of being taken out of the box! 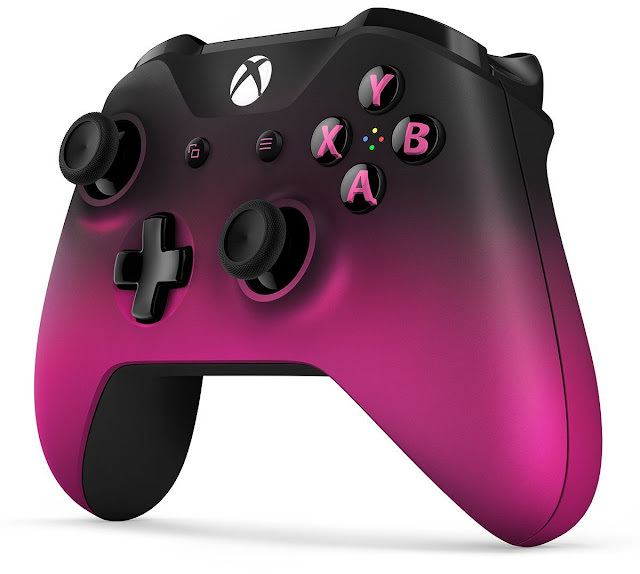 If you want a pink controller, but want something that also looks really sleek and cool and is great for gaming consider this one!